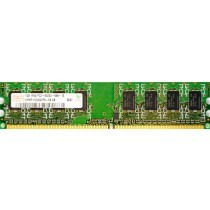 The majority of desktop PCs and motherboards use non ECC RAM, but the formats and standards are usually the same as their ECC counterparts. Popular desktop PC manufacturers such as HP, Dell, Lenovo, Apple, Acer, Fujitsu and Apple often ship new PCs with capacity for RAM upgrades, and Bargain Hardware have compatible RAM for most of these systems. Desktop PC SDRAM usually comes in DIMM format. Depending on the age of the system, the DIMMs will be DDR, DDR2, DDR3 or DDR4, followed by a number which refers to the speed of the memory. 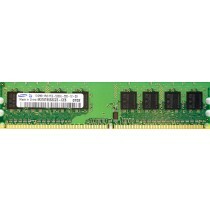 Fortunately Bargain Hardware's refurbished PC RAM is cheap to purchase and shipped, express, worldwide. With thousands of RAM DIMMs available on next day shipment, Upgrading Desktop PCs RAM, such as HP Compaq and Dell OptiPlex, has never been easier. If your PC is prone to running slowly, or even freezing, increasing the machines Random Access Memory (RAM) will almost certainly help. With DIMMs at incredibly cheap prices and OEM brand memory, such as HP Dekstop RAM upgrades and Dell RAM upgrades, being stocked and ready to ship, there has never been a better time to increase your systems RAM! Installing a RAM upgrade to a desktop PC can result in a dramatic improvement in performance. Nothing slows down a PC more than having insufficient memory for a given application. Bargain Hardware carries large stocks of refurbished and pre-used Desktop PC memory, and we will make sure you are supplied with the correct specification for your particular system.